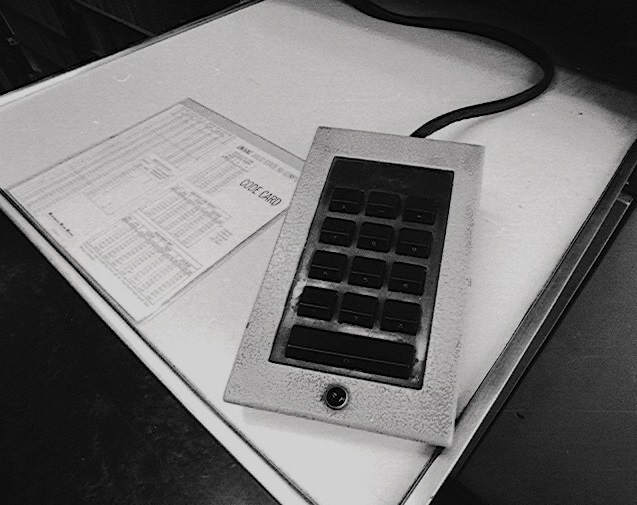 Left of the keypad: the code-card. 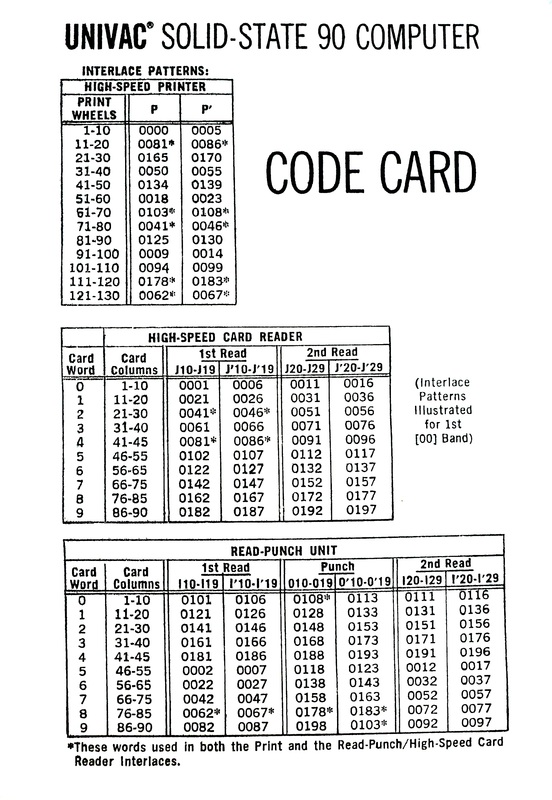 a reference card containing all important numbers. read or written from/to the buffers. 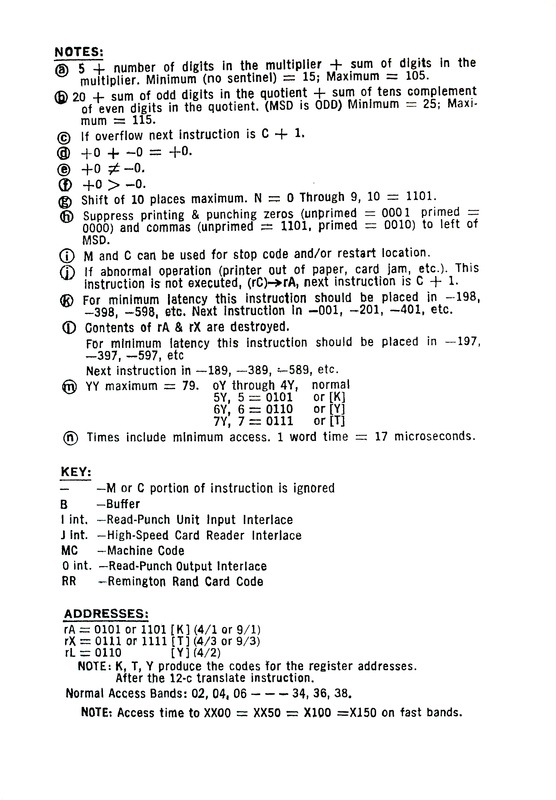 the card-reader and the read-punch unit. 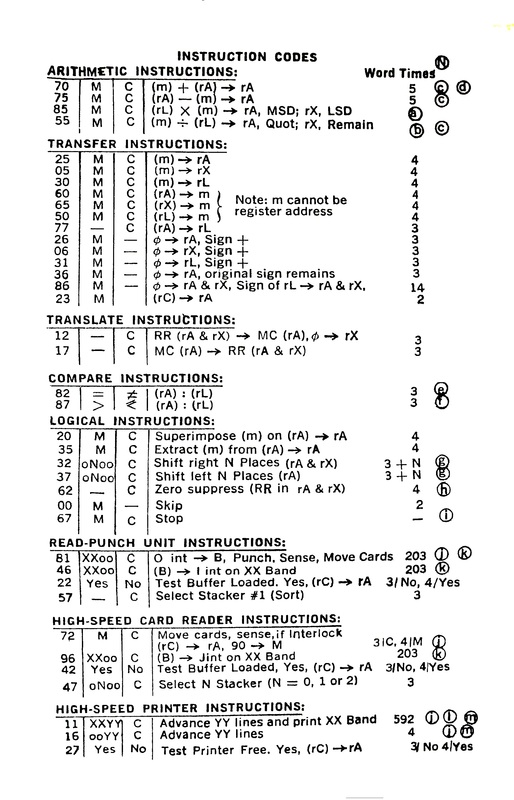 displays a table with the codes for the 39 instructions. - pointers to the notes. - the special bit-patterns to address the registers. referring to the results of the two translating-instructions. And one table with the values of odd bit-combinations. 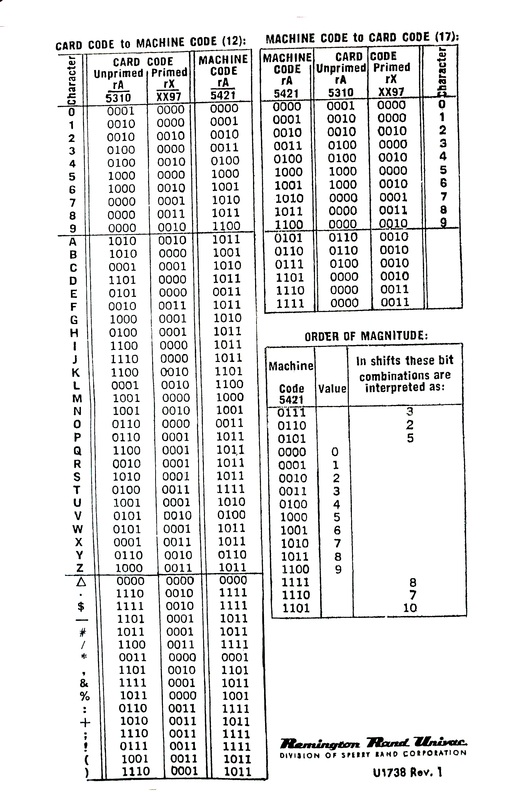 the USSC80 used differend A/N-codes.